A depression test is often required if a person feels 'sad' for an extended period of time as depression comes in a variety of forms. Clinical depression is different from feeling depressed, for example. Its symptoms are ongoing rather than fleeting. Bipolar disorder is another category of depression. It is different from clinical depression. Its main difference is that a person can struggle with extreme changes in mood, thought, energy and behavior. There are phases of mania where you can feel sheer joy, believe you are invincible and experience grandiose delusions, and then suddenly plummet into a depressed phase of intense feelings of despair and sadness. A person with clinical depression suffers from fatigue and diminished physical and mental activity. 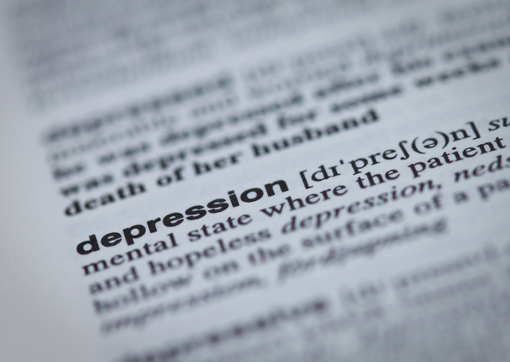 Depression affects the mind and body, causing sleep, appetite and libido disturbance. There is a reduced ability to concentrate and remember things, which can lead to the inability to make decisions, enjoy life and feel self-worth. Depression is the most commonly diagnosed mental health issue, and a major contributor to suicide attempts. 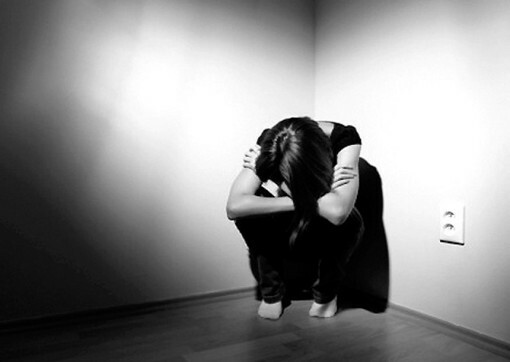 Biological influence including genes, hormones and personality types can cause depression. Lack of exposure to sunshine and inadequate fulfillment of childhood developmental milestones can cause depression. Childhood neglect or abuse can cause structural changes in the brain’s limbic system and prefrontal cortex, limiting a person’s interpersonal and relationship skills. Subsequent challenging life events and biological vulnerabilities can increase the chances of becoming depressed. A person’s coping skills can help avoid the onset of depression. These resources may be cognitive, emotional, behavioral or body-based. They can be seen in a person’s ability to take rational action, persevere, practice restraint, seek help, adapt to difficult situations, remain emotionally optimistic, and understanding of the other person’s emotions and perspectives. Awareness of body sensations and knowing and feeling the changes in the body, and how our posture effects our emotions, can assist in healing depression. Depression can occur when a person’s work, home or peer group environment is toxic and reaches an unmanageable threshold. Therapeutic interventions can focus on changing the person’s environment, or work through issues that are caused by the toxic environment. Body-Mind Experiential Psychotherapy can transform depression. Experiential psychotherapy is a whole body-mind approach which focuses on sensations in the body using mindfulness as a vehicle to feel and explore inner worlds and resolve depressive symptoms. As therapists we strengthen the person, making them aware of their personal resources and introducing them to new resources before experiencing the issues which contribute to their depression. Additional therapeutic techniques are used to reduce and put the brakes on overwhelming painful memories, feelings or images, so the person can manage their body sensations. (Michael Gathercole; depressionnet.org.au). Pat Ogden, psychotherapist and founder of Sensorimotor Psychotherapy, said that a person suffering from depression often lives from a fight, flight or collapsed survival state of body-mind. The person’s brain is forced to be in a primitive survival mode that is anxious and hyper vigilant a lot of the time, as they search for signs of safety in the environment. Being in this heightened state of alertness can result in a person feeling chronically tired and depressed as the nervous system and adrenal glands become depleted. The volume of dopamine and serotonin neurotransmitters and endorphins in the brain is reduced, causing depression. Working from a body mind orientation we help the person deeply feel their body instead of living mostly in their mind. Analysis is often created from a very young belief system that is no longer relevant to the now adult person. Healing occurs as one learns to take in new information through their body and mind (Pat Ogden, NICABN 2012). Kurtz, said that we need to be conscious of our self, because a healthy self can handle stress and process it through discovery and understanding. This then is a living system, because a living system knows how to create, balance and function. In the same way that Kurtz speaks about a living system, psychiatrist Dan Siegel, looks at how unassimilated experiences are the basis for many mental illnesses categorized by the DSM4 (Dictionary of Mental Illness categories and definitions). Pioneering French psychologist, Pierre Janet also wrote that when our experiences are not understood these events can overwhelm our system. Dan Siegel called this ability to see with emotional intelligence “mind sight”. Mind sight is the ability to sense the person you are communicating with. You can see their non-verbal communication, feel what they are conveying through the words used, and pick up on how they are receiving your words and non-verbal communication. In this field of communication both people are differentiated as separate people but are able to communicate as a whole. Dan Segal says simply, “if you are having energy and information flow in an integrated way as you communicate, that is the definition of inner health” (Dan Siegel, NICABM 2012). A person with depression is in touch with themselves, but can feel separate and out of touch with others and the world. In experiential psychotherapy we develop a therapeutic relationship with the client that facilitates a change from a ‘me map’ to a ‘we map’. We encourage and invite the client to participate in experiments that develop the neural patterns of the brain and enable interrelatedness between two people. You become sensitive to the sound of another person’s voice, the tiny changes of expression in the eyes, the gestures of hands, body postures, and the tones of meaning in the spoken words. Having a ‘we map’ requires that many levels of perception in your brain work well together. The constant back and forth flow between two people creates a shared understanding. This map of connection generates thousands of coordinated neural responses and interpretations of mindful feeling (John Folk-Williams). Dan Siegel’s Mind Sight approach offers excellent theory on how neuroscience and mindfulness meditation can change the way the brain functions. It is a profoundly useful skill that is the basis for emotional and social intelligence (Dan Siegel, The Developing Mind, 1999). Healing depression begins as therapist and client link through patterns of communication that are respectful and compassionate. When the client feels understood at a deep level, integration and transformation of the client happens. Relationships of all kinds are central to a person’s healing because often it is in the context of a relationship that the initial wounding occurred. A healing relationship is created in the container stage of therapy. Safety is created in an atmosphere of genuineness, unconditional positive regard and empathic understanding. The therapeutic goal is to facilitate increased self-awareness, self-confidence and flexibility for the client. As therapist and client we become curious about posture, belief systems and missed life experiences. Therapeutic maps such as character strategies inform my practice. A dependent endearing character strategy developed in infancy due to lack of love, nourishment and parental availability can cause a person to have thoughts such as, ‘there is no support or love for me’. Energy levels are low, and the body posture often has a collapsed chest and pronounced belly. The thought, emotions, body sensations and images provide indicators of how we can work to heal the depression. Here we would offer short, easy and nourishing statements to deepen the experience and correct this strategy. We work mainly with the body in present moment mindfulness by accessing memories through the body and mind, allowing emotions and thoughts to be felt, understood and transformed. We use techniques called probes that are potentially nourishing statements, yet are delivered in a neutral tone of voice. The client is encouraged in mindfulness to respond to the words naturally and without preference for a particular response. The client may physicalize a body movement or impulse that holds some truth that is healing. For example, an immobilizing defensive response could spontaneously occur with a pushing out with arms and hands, and together stating the words ‘no’ to set a boundary. This can be both great learning and transformative for a depressed and disempowered person. We may take over a tension around the client’s shoulders by respectfully and with permission holding the tension for the client. This can yield new information for the client such as the thoughts “I don’t want to hold onto this burden about feeling guilty.” As the client integrates this information, new learning occurs, and the ability to experience their bodies shifts. The slumped head, shoulders and back become more vertical as the belief shifts and the client physically practices lengthening the spine. The client shifts their awareness from a ‘child state’ having experienced and integrated the childhood wound and returning to the aware and confident adult person. The adult is able to reassure ‘the child’ who was the ‘map maker’ of their emotional experience of their world, and the adult realizes they are no longer the vulnerable child surviving a difficult home, school or peer environment. This new information enables the left and right hemispheres of the adult brain to update these files to the current adult person who is living in a new context and time. The client may start to feel their repressed anger. In time this energy revitalizes the body enabling action to be taken and self-worth to be regained. Each body-mind intervention is facilitated in a collaborative way, making sure the client is more grounded in their body, feeling their feet, spine and the support of the chair. We use a technique called ‘the window of tolerance’ which is a map to decipher whether the client is present, aware and alert in the present moment feeling their body sensations. If a memory or story is confronting for the client, they are encouraged to drop the story and return to their body in a way that is grounded, safe, and present in the here and now. The client is given the opportunity to get in touch with their deepest needs and longings that were denied as a child and suppressed as an adult. The therapist is constantly aware of looking for what is healthy and healing for the client. The therapist works in a safe and protective manner. For example, we say to the client, “I understand that you needed to protect your heart. The barrier you created around your heart has kept you safe.” Compassion for the client and others is promoted. We communicate silently through a loving presence that their defenses are welcome and accepted. We understand it has helped them to manage their experience. The client’s unconscious senses this safe environment and naturally their body armor begins to loosen expand and open. The client’s contact with their open heart can now result in healthier and deeper relationships. Experiential psychotherapy can actively and compassionately help to reorganize deep body-mind structures. It also provides the client with the ability to step outside their experience and witness it from a bigger perspective enabling objectivity and wisdom. Just as a person suffering from depression opens to their own depth and heart, and can lift themselves out of depression with the help of experiential body-mind psychotherapy, so too can an anxious person overcome their fears. 1. Eisman, J. “Shifting States of Consciousness The Re-creation of the Self Approach to Transformation, 16-17 Summer 2006. 3. Gathercole, M., depressionnet.org.au; relievedepressiontoday.com. 4. Johanson, G., “The Use of Mindfulness in Psychotherapy, January 2006. 6. Kurtz, R., “Five Recent Essays Summer 16-17 2006. 7. Management of Mental Disorders, Treatment Protocol Project (2004); World Health Orgnization Collaborating Centre for Evidence in Mental Heath Policy, 2010. 8. Ogden, P., “Integrating the Brain in Trauma Treatment: A Sensorimotor Approach. NICABM 2012. 9. Siegel, D., “How Mindfulness Can Change the Wiring of Our Brains. Tessa’s therapy approach is self empowering as she showed me how to build and draw on my internal resources rather than depend on her. I highly recommend Tessa for anyone seeking true healing. Tessa is a deep listener who has an instinctive ability to get to the core of a problem. Her skills are highly developed and include Sensorimotor Psychotherapy and other modalities which she tailors to the specific needs of each client.